Recently I’ve been noticing more and more applications that are standing out from the crowd. It seems that we are no longer bound to the basic aqua look and feel that we’ve been in for so long. As the horizontal stripes disappear, new and custom interfaces are making their way onto the Mac. But why aren’t more applications taking advantage of this? And where are we going? Here are a few Mac GUI examples. The basic aqua look and feel is nice and white. 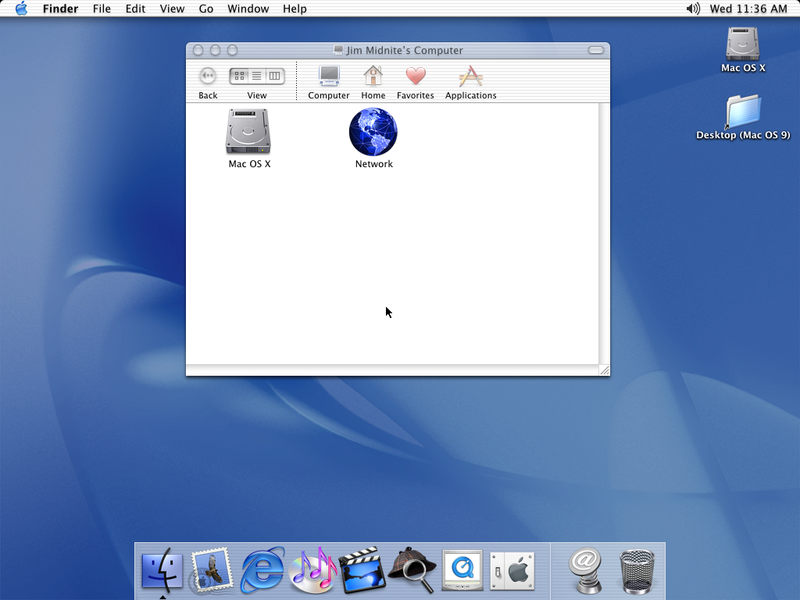 This is pretty much where everyone under OSX started out and quite a few carbon apps still support this interface. Brushed Metal was introduced back in 10.3 (I believe) as part of our overall Mac experience. Quicktime had previously been the only application sporting the look, but now a variety of applications take on this look and feel. Showing up in 10.4, the unified look takes out that pesky line between the title bar and the main window. I think it really makes applications look a lot nicer. Unfortunately, not all programs can use this as I believe it’s only available for Cocoa applications. This seems to be where Apple is moving with Aqua. One of the first times custom windows really came into mainstream as with Adium. The contact list window has the ability to show no menu bar, no open/close/minimize buttons and it’s fantastic. I really wish Adium would pass this onto chat windows. And then there was pro. A dark aqua GUI that came along with applications such as Aperture, Soundtrack and Final Cut Pro. A nice addition to the interface group, but one that most users never get to see. A custom look and feel came along with GarageBand. With the wooden sides, aqua scrollbars and pro pieces, it seems more like a bit of everything thrown together. Very cool, but completely different than anything else. The yet to be released Cookbook application is taking another step towards custom application skins. This one is all wood and sports a never before seen look and feel. It’s very attractive, but that could just be because it’s so different than everything else. Disco does similar things with it’s application as it has custom buttons and smoke. Another application that’s taking GUI to the next level is Juhu. This little widget like application has none of the normal window aspects. No main menu, no title bar, no normal minimize/maximize/close buttons and really is a nice, custom application. So, where is the Mac GUI taking us? For years we’ve been following down the same sort of path. But as developers become more creative, the main Mac interface is chaining. The user experience is going along with it and that’s not a bad thing. I think making a program unique is a great way to get it noticed and get it out there. However, we have to beware of making things to different as some users may feel lost and confused. I embrace this GUI evolution and encourage developers to continue taking their applications to the next level. I can’t wait to see what comes next. Previous Trying my hand at a Thunderbird theme.